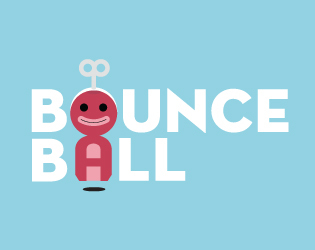 Bounceball is a "horizontal breakout". 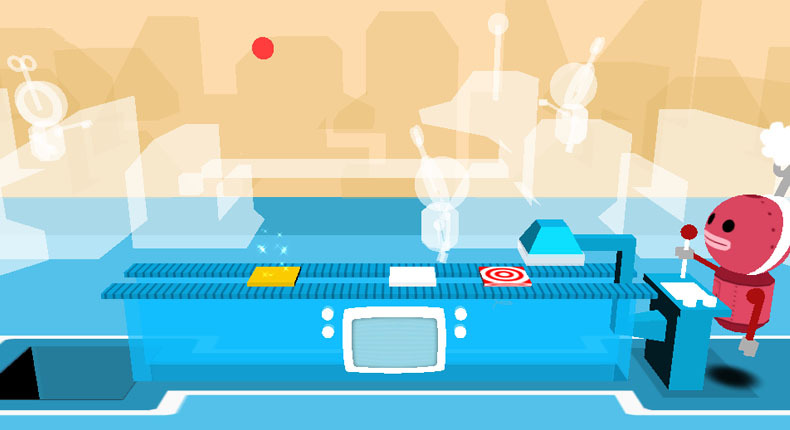 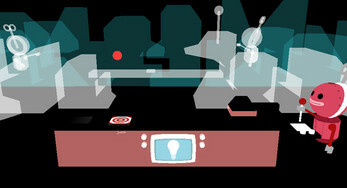 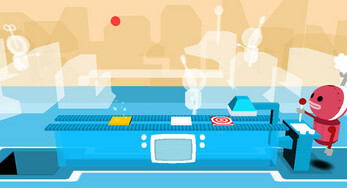 The player plays a robot in a brick assembly line. The bricks are on the treadmill and the ball can only bounce on the bricks. 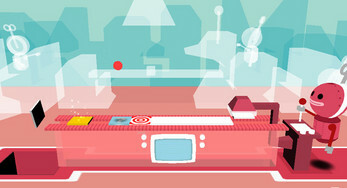 By touching the screen, the player can move the assembly line and thus reveal new bricks. Just like in a traditional breakout game, the goal then is not to drop the ball into the precipice by using available bricks and bonuses.